To save his soul, William Marshal takes the perilous road to Jerusalem, but the greatest danger he faces there is losing his heart. England, 1219. 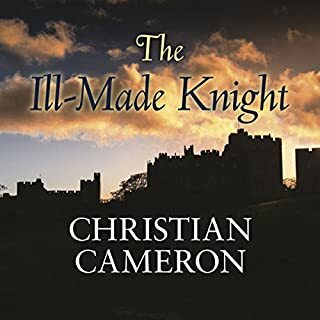 Lying on his deathbed, William Marshal, England's greatest knight, sends a trusted servant to bring to him the silk Templar burial shrouds that returned with him from the Holy Land 30 years ago. It is time to fulfil his vow to the Templars and become a monk of their order for eternity. It is a time for ambitious men to prosper, and royal servant John FitzGilbert Marshal is one of them. Raised high, as the kin of the deceased King Henry battle each other for England's throne, John reaps rich rewards but pays a terrible price for the choices he makes - as does his family. His wife, fragile, naïve Aline is hopelessly unequipped to cope with the demands of a life lived on the edge and, when John is seriously injured in battle, her worst nightmare is realised. 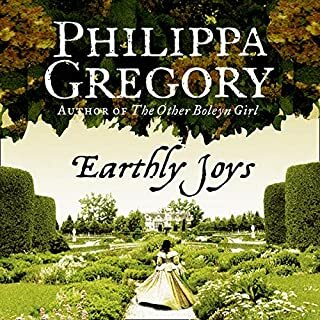 An awkward misfit loathed by his autocratic grandmother, nine-year-old Fulke FitzWarin leaves his family to be fostered in the household of Jocelin de Dinan, lord of Ludlow. Fulke is to train in knightly arts but to succeed he must overcome the deep-seated doubts holding him back. Hawise, Jocelin's youngest daughter, befriends the young Fulke. John Tradescant the Younger has inherited his father’s unique collection of plants along with his unerring ability to nurture them. But as gardener to Charles I, he confronts an unbearable dilemma when England descends into Civil War. Fleeing from the chaos, John travels to the Royalist colony of Virginia in America. But the virgin land is not uninhabited. John’s plant hunting brings him to live with the native people, and he learns to love and respect their way of life just as it is threatened by the colonial settlers. Two very different women are linked by destiny and the struggle for the English crown. Matilda, daughter of Henry I, is determined to win back her crown from Stephen, the usurper king. Adeliza, Henry's widowed queen and Matilda's stepmother, is now married to William D'Albini, a warrior of the opposition. Both women are strong and prepared to stand firm for what they know is right. But in a world where a man's word is law, how can Adeliza obey her husband while supporting Matilda, the rightful queen? 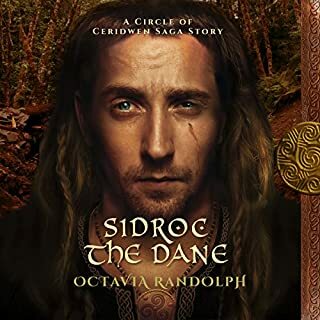 A discarded child fated to become a powerful Jarl - here is the story of Sidroc. Fate guides the path of his father, Hrald, to his meeting with the woman whose son would help change the face of ninth-century Angle-land. An ever-growing rivalry between Sidroc and his cousin Toki defines the boys' early years. Their young uncle, Yrling, knows success as a raider in far-off Angle-land, and trains his nephews in the ways of the warrior. Ahead of them is the perilous crossing of the North Sea, which stands between them and the plunder they seek. Jacquetta, daughter of the count of Luxembourg and kinswoman to half the royalty of Europe, was married to the great Englishman John, duke of Bedford, uncle to Henry VI. Widowed at the age of 19, she took the extraordinary risk of marrying a gentleman of her household for love and then carved out a life for herself as Queen Margaret of Anjou's close friend and a Lancaster supporter - until the day that her daughter Elizabeth Woodville fell in love and married the rival king Edward IV. It is just before the outbreak of World War I, and Britain must enlist the aid of Russia. Czar Nicholas' nephew is to visit London for secret naval talks with Lord Walden, who has lived in Russia and has a Russian wife, Lydia. 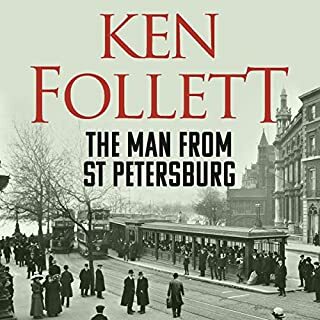 But there are other people who are interested in the arrival of Prince Alexei: the Waldens' only daughter, Charlotte - wilful, idealistic, and with an awakening social conscience; Basil Thompson, head of the Special Branch; and, above all, Feliks Kschessinky, the ruthless Russian anarchist. 1553. 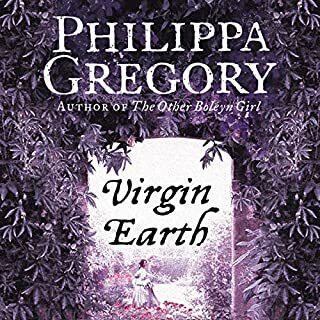 Hannah Green, the young daughter of a Jewish bookseller, is forced out of Spain by the Inquisition, and becomes an unlikely player at the fractious Tudor Court. Her gifts of foresight mean that she is given, as a Holy Fool to the newly crowned Mary I. 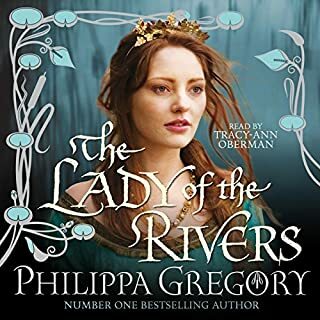 But as Mary’s grip on the throne loosens, threatened by the ambitions of her sister, Elizabeth, Hannah is trapped in the deadly rivalry between the daughters of Henry VIII. 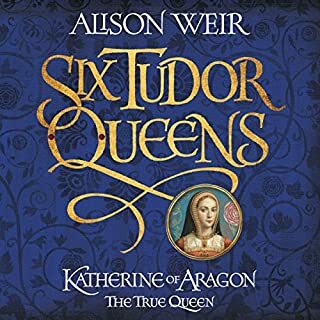 The lives of Henry VIII's queens make for dramatic stories, and Alison Weir writes a series of novels that offer insights into the real lives of the six wives based on extensive research and new theories. In all the romancing, has anyone regarded the evidence that Anne Boleyn did not love Henry VIII? Or that Prince Arthur, Katherine of Aragon's first husband, who is said to have loved her, in fact cared so little for her that he willed his personal effects to his sister? Few places lie closer to the heart of the nation's heritage than the New Forest. 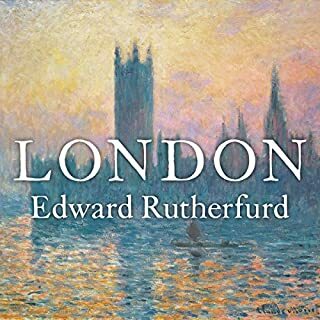 Now, Edward Rutherfurd weaves its history and legends into compelling fiction. 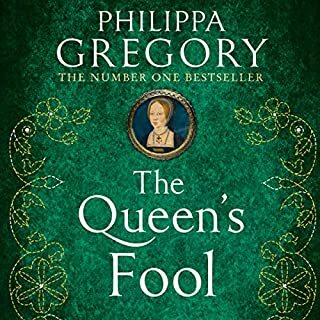 From the mysterious killing of King William Rufus, treachery and witchcraft, smuggling and poaching run through this epic tale of well-born ladies, lowly woodsmen, sailors, merchants and Cistercian monks. The feuds, wars, loyalties and passions of generations reach their climax in a crime that shatters the decorous society of Jane Austen's Bath. In the wild, windswept Welsh Marches, a noble young lord rides homewards, embittered, angry and in danger. He is Guyon, Lord of Ledworth, heir to threatened lands, husband-to-be of Judith of Ravenstow. Their union will save his lands - but they have yet to meet...for this is Wales at the turn of the 12th century. Dynasties forge and fight, and behind the precarious throne of William Rufus, political intrigue is raging. 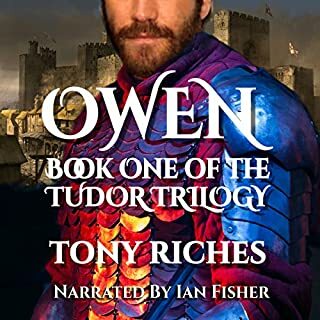 England, 1422: Owen Tudor, a Welsh servant, waits in Windsor Castle to meet his new mistress, the beautiful and lonely Queen Catherine of Valois, widow of the warrior king, Henry V. Her infant son is crowned king of England and France, and while the country simmers on the brink of civil war, Owen becomes her protector. They fall in love, risking Owen's life and Queen Catherine's reputation, but how do they found the dynasty that changes British history - the Tudors? A traveller in a time of discovery, the greatest gardening pioneer of his day, yet a man of humble birth: John Tradescant's story is a mirror to the extraordinary age in which he lives. As gardener and confidant to Sir Robert Cecil, Tradescant is well placed to observe the social and political changes that are about to sweep through the kingdom. From humble beginnings and a narrow escape from death in childhood, William Marshall steadily rises through the ranks to become tutor in arms to the son of King Henry II and Eleanor of Aquitaine. Based on fact, this is the story of William Marshal, the greatest knight of the Middle Ages, unsurpassed in the tourneys, adeptly manoeuvring through the colourful, dangerous world of power and politics to become one of the most powerful magnates of the realm and eventually Regent of England. i love this era of history and the plantagenet dynasty. Ive read books featuring William Marshall before and always found him facinating. He worked his way up and became a well respected magnet. I loved listening about the tornays and battles. Also im a sucker for a blossoming romance and really felt for him when Clara left him. it was also nice to hear of his marriage to Mrs de Clare, who seemed like a fisty women :) his respect for women was also quite ahead of his time. The only downside us that im not a huge fan of men doing womens voices. its just a personal choice thing for me. Other than this he's a good narrator and nice to listen to. Oh my gosh, what a wonderful story!!!! I loved the development of such rich characterisation, the threading together of events , the history, the wonderful imagery - can not recommend this book more. It’s just wonderful!! Extremely well written and historically very interesting. The storyline is captivating from the start and well narrated. I love the fact that is links to other books. After finnishing Pillars of the Earth and World With Out End (both excellent), I was calmouring for a new mideval book. Someone had told me this was a good book. I agree the story line is a good one, but it could have been better. When the story really gets going, it stops and bam you are 3 months to 3 years later and the charachters are passively takling about what had happend. I wish the author had actually writen those scenes, she could have been so much more discriptive. The book felt rushed and slow at the same time. I guess the other two books I just finnished have spoiled me. That author throughly described and developed his characters. You get to know them, and can easily envision the scene. I hope her other books are better. I purchased this book on a chance. I'd never heard of the author and her books are described as "bodice rippers." I'm not the bodice-ripper type. However, I am very interested in 12th century European history, and anyone who knows about the period has heard of William Marshal. So, wanting a good medieval tale, I tried The Greatest Knight. I thought it was a good book. I really liked the author's character development, and the dialogue is well-written and fun. But she missed a lot of opportunities to describe action. Oh, there were a few skirmishes that she told about, though she skipped over the majority of so many battles and tourneys that it left me shaking my fist for more. I wish she had done more. Despite this, I still really liked the book. I'd have given it four stars if there had been more action. 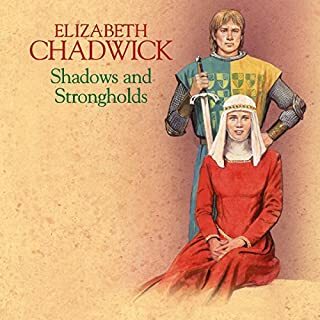 I really like some of Elizabeth Chadwick's novels. This book while I did enjoy it, I didn't love it and found it tedious at times. I will admit that William Marshall is a lofty subject to cover so I can forgive the dates skipping around alot. I felt that the book was about 80% about Marshall's familial life at home with his wife\concubine and english court politics and only about 20% about his Tourney and Military career. You hear alot about how GREAT a militarist and tourney'er he was but vary rarely ever actually see it. There are few battle scenes and few tourney scenes which I found odd based on his reputation. I also found it a bit hard to really get to know Marshall other than he was a man of honor and integrity, his character came off a bit flat for me. The book constantly made me feel a bit let down because it would build up to a castle siege scene and then you turn the page expecting some interesting siege warfare and what you get is him returing to his wife and describing the siege after the fact in a few sentences. I felt cheated ALOT! I will probably read the next book just to finish out the story but this book was average in my opinion. 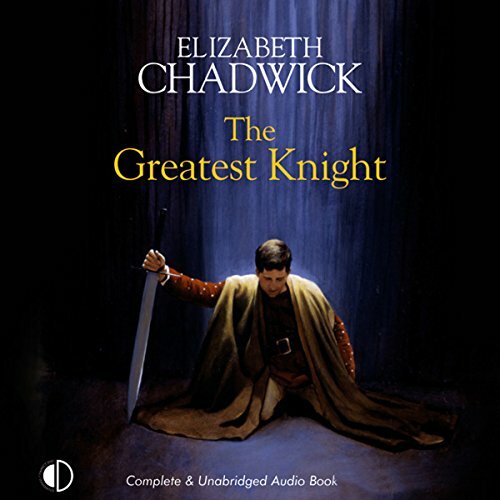 I really enjoy Elizabeth Chadwick's work, the Greatest Knight was very enjoyable to listen to as a night time story before bed and I have since bought the sequel, the Scarlet Lion. I would also recommend her book Lords of the White Castle! Christopher Scott is a wonderful narrator and contributes beautifully to the story. What a fantastic read. 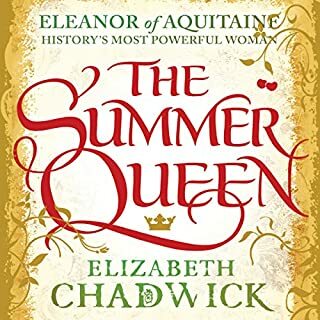 Elizabeth Chadwick definitely writes an intriguing historical novel. The second book definitely surpasses the first book and has maintained my interest throughout. She literally makes history step off the pages. The book is so good that I've already purchased and am reading the third book in the series. Great reading. 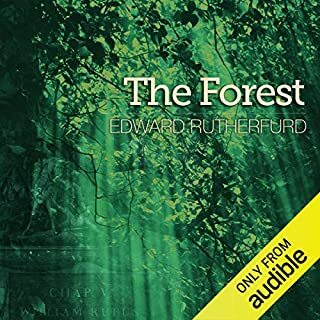 I just finished this audiobook, and I enjoyed it. I would have liked a little more detail on the tourneys, but that's a minor point. Good narration. The production could have been a little better with scene changes - sometimes I missed when we changed scenes. Overall, though, I found it very interesting and enjoyable and I'd like to hear more this author-narrator team. It should be said that the title character is fascinating. Loved it, but I am prejudice, since William Marshall is my 21st great grandfather. Thanks. This is an excellent book. I couldn't stop listening to it yet hated to see it end. This is my first experience with this author and my next purchase will be the continued saga of William! I would greatly recommend it. I like the book and am going to get the second part to here the rest of the tale. The story is pretty good and I like the interplay between William (the main character) and the kings (like Henry, Richard, and John). However, there are a lot of fights that are not really described and she spends too much time talking about courtly love. What an excellent listen. So good that I couldn't stop listening !! I love British medieval history and this book really does bring the period to life. The author has linked the facts and the fiction to produce not only a good book but a credible account of the period. Thoroughly enjoyable and very highly recommended. What did you like most about The Greatest Knight? How William was able to get through what seems to be unsurmountable problems in his life and just battles on.It made it all the better because William Marshal was the greatest knight and much is known about him. The story has been weaved cleverly through the history that is known to make the reader feel they are part of some of the most turbulent times in our history. How the Greatest Knight develops as a person and how he balances work and personal life. What does Christopher Scott bring to the story that you wouldn’t experience if you had only read the book? The length of pauses in the right places. It gives the characters more depth. Helps the listener wait anxiously for more. Yet he paces the book so well. To give you some idea of my feelings for this first of the William Marshal books. 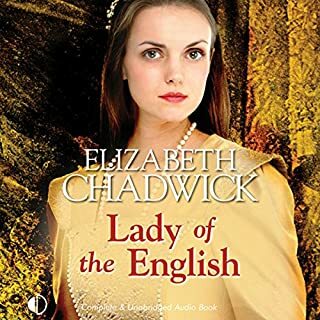 I've downloaded the next one and the others are in my wish list.Elizabeth Chadwick is a great novelist who couldn't have done better than choose Christopher Scott to narrate them.Thank you all. One of the best books I've ever read about medieval life, if I ever thought it was boring and staid then I have been sorely misinformed. I would recommend it to anyone. What disappointed you about The Greatest Knight? This could have been an exciting book with heart-wrenching and exciting scenes, if the author had managed to inject any real emotion whatsoever. As it is, it's monotonous on the level both of the overarching plot, and each scene. Even if you don't know anything about William the Marshal, every time he's facing some new hardship you know that he's going to come out of it on his feet with his halo intact and very little real challenge. 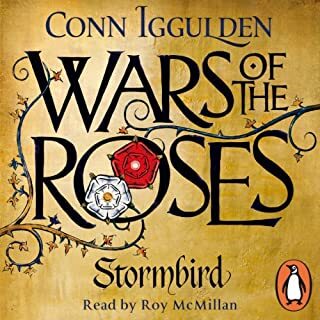 If the narrator switches to a character other than William Marshal for a moment, you know they'll be important, and within a sentence you can probably guess why. The characters have very little depth and it's just hard to care about them. The chapters felt about as emotional as if I had just read "William's liege was sinful and died, so William was sad and went to Jerusalem to save his soul and ponder death. Then he came back, won another tournament, and the queen told him how honorable he was. "It was okay listening (on x1.25 speed) while I was doing data entry at work, but I won't be getting the sequel. I guess a positive point is that I now know how to pronounce "deshabille", as the author seems a bit addicted to that word. 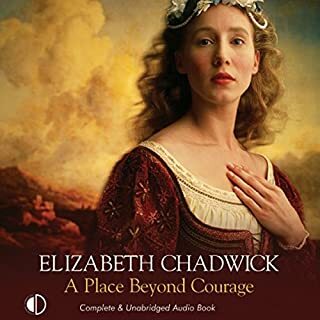 Would you ever listen to anything by Elizabeth Chadwick again? The narration was fine, although there's a piece of weird new-age-jazz-celtic music they've composed to put in chapter breaks and things, and it seemed to be just randomly put into places where it's not needed and left out of places it should be in. Sometimes it's like this:"William came in from his latest journey looking tired and full of honor. **MEDIEVAL ELEVATOR MUSIC** His wife thought about their babies, ran him a bath, asked him what was going on and gave him sage advice. "but then sometimes it's like this:"William was no longer surprised that his 23 year old former captive medieval lady wife was a budding diplomat and took her advice to heart. John watched as knights rode up to his castle, fuming about how hard his life was and how he wasn't as good as his little brother." What character would you cut from The Greatest Knight? They're all as cardboard and shallow as each other. It WAS interesting from a historical point of view, given that it's essentially a badly-dramatized biography, and did prompt me to spend some time on Wikipedia learning more about who the characters were in real life and how they fit into the rest of that period in England's history. I'm going to have to look up more historical fiction about this period and these people, just not by this author. The early years of William Marshall and how life was for a knight of the royal court. 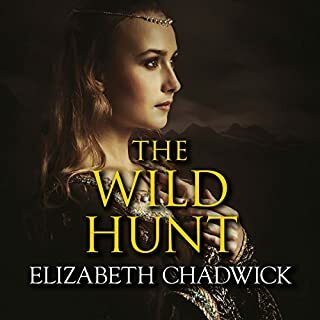 The intrigues and politics make for a good plot and Elizabeth Chadwick manages to transport one back in time with a brilliant and descriptive talent. I would really recommend this book to historical addicts. Oooooooooo, loved every minute of this book, didn't want it to end so I was pleased to discover there's a sequel! The narrator is easy to listen to, which is obviously a bonus and the story canters along at a great pace!! Its the first time I have chosen a book by this author but on the recommendation of my sister I downloaded this one. Although I have only just got it I am very impressed. Its a really good story which bounds along at a good pace and am already planning to download more from the author. The narrator makes a pretty good fist if this, but let down by a mediocre book: do yourself a favour, read a Wikipedia entry or something, the history will be better and so will the writing. Far too many time jumps without enough explanation. For instance, a war happens and the reader only learns of this through the main character briefly reminiscing about it. This happens so often, instead of witnessing the character going through events, being told how he felt during those events, we're instead briefly told about them through the characters memory. This creates a rather hollow main character that goes through very little change. I lasted 7 hours, nothing much has happened. Oh except tourneys, lots and lots of tourneys. The performance is ok, however, some of the voices sound a little too similar. I constantly forgot who was supposed to be talking. It felt as though it was aimed at a younger market, a bit of an immature approach if you know what I mean. The characters felt incomplete and shallow. 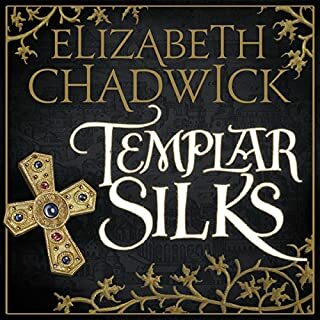 What could Elizabeth Chadwick have done to make this a more enjoyable book for you? Maybe less characters and better developed central ones. There was a lot of material in the part lifetime. Would you be willing to try another one of Christopher Scott’s performances?